The battle scenes — from sword fights to warriors charging ahead, to the anger in the eyes of Rani Lakshmibai — have been expertly portrayed. 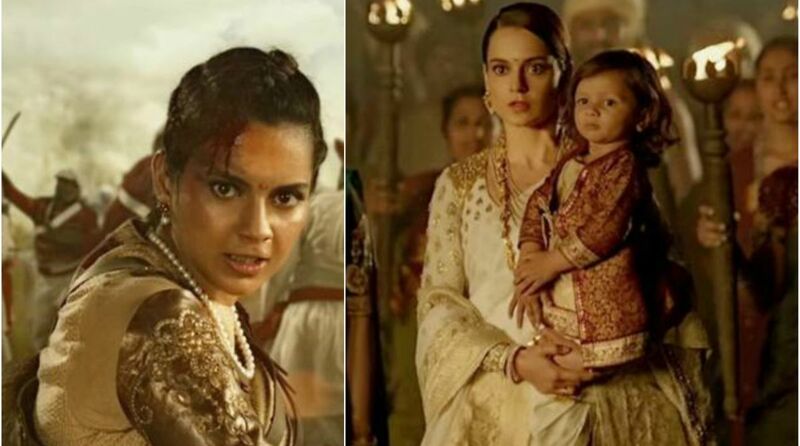 For the last few months, Kangana Ranaut’s Manikarnika has been the talk of the town. As promised, Kangana released a teaser of the film on the occasion of Gandhi Jayanti. The 2-minutes teaser begins with Amitabh Bachchan’s voiceover as he explains how India was developing rapidly when the British decided to occupy and how Manikarnika decided to fight for her motherland. Kangana is seen riding a horse, sitting atop her throne with a baby in her lap. The battle scenes — from sword fights to warriors charging ahead, to the anger in the eyes of Rani Lakshmibai — have been expertly portrayed by Hollywood’s action choreographer Nick Powell. Here is the teaser, watch it. “I am extremely proud of this film, portraying a character who empowers and inspires. We have put in our heart, blood, and sweat into making this film,” Kangana told IANS. Directed by Krishna Jagarlamudi, Manikarnika: The Queen of Jhansi, produced by Zee Studios and Kamal Jain, is slated to release on January 25, 2019. The film is written by the writers of Baahubali and Bhaag Milkha Bhaag. The film will be clashing Hrithik Roshan’s Super 30 on January 25, 2019.